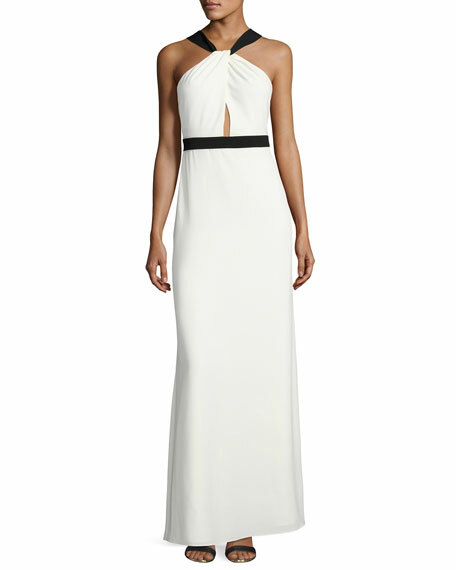 Jill Jill Stuart two-tone evening gown in stretch crepe. Grecian overlay neckline; V'd back. For in-store inquiries, use sku #2213537.